Shalva, the Israel Association for the Care and Inclusion of Persons with Disabilities is dedicated to providing transformative care for individuals with disabilities, empowering their families and promoting social inclusion. Shalva provides an all-encompassing range of services for thousands of people with disabilities from infancy to adulthood and their families. Shalva’s comprehensive life-cycle programming provide leading-edge therapies, inclusive educational frameworks, social and recreational activities, employment training, and independent living, as well as respite and family support. The Shalva National Center’s advanced programs and facilities create new frontiers in disability rehabilitation, research, and inclusion; defining new standards in the field and impacting the world beyond those in Shalva’s direct care. 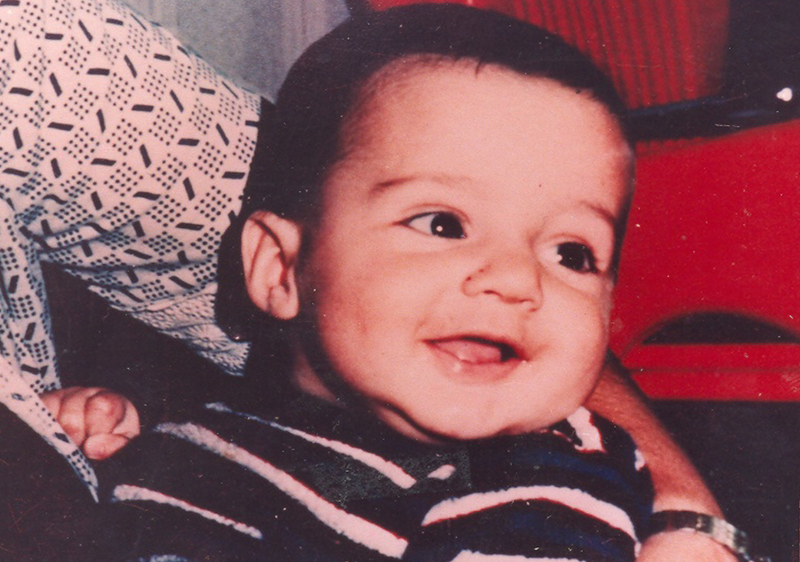 Believing that the care of children with disabilities should not be left to the family alone, Shalva’s founders Malki and Kalman Samuels created a therapeutic environment in which children with disabilities could grow and thrive. This approach was based on the Samuels’ own experience with raising their son Yossi who was left blind, deaf and acutely hyperactive as the result of a faulty vaccination. Yossi’s disabilities took their toll on his family. Providing him with constant loving care, they became exhausted and isolated. Many professionals and well-intentioned friends suggested placing Yossi in an institution. But Malki refused and vowed to God that if He helped Yossi, she would dedicate herself to helping other children with disabilities and their families. 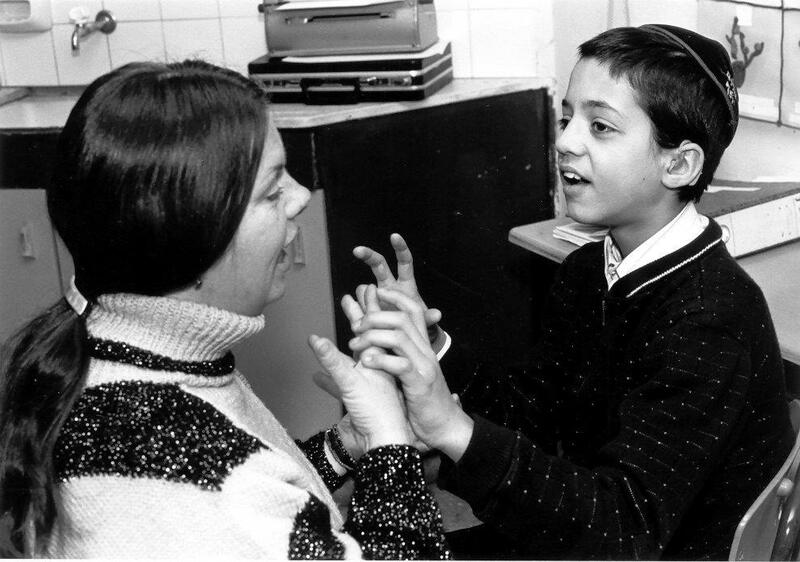 When Yossi was eight, Shoshana Weinstock, a deaf special education teacher penetrated Yossi’s wall of silence via Hebrew fingerspelling. She taught Yossi his first word, “shulchan” – Hebrew for table – thus creating a relationship analogous to that of Annie Sullivan and Helen Keller. Malki recalled her promise and with Kalman’s help, Shalva was founded in 1990. What began as an afternoon program for eight children in a local apartment has grown into a national center serving thousands of people with disabilities from infancy to adulthood from the entire spectrum of Israeli society. Over the course of twenty-eight years, Shalva developed transformative programs to fill needs that were previously neglected. The success of these programs has received government and cultural recognition, inspiring grassroots changes in public policy and social inclusion. Through nearly three decades of award-winning programs, Shalva has become an indispensable element of Israel’s social services structure and an international model of disability program development. The organization’s exemplary management standards are certified by the ISO and Midot. 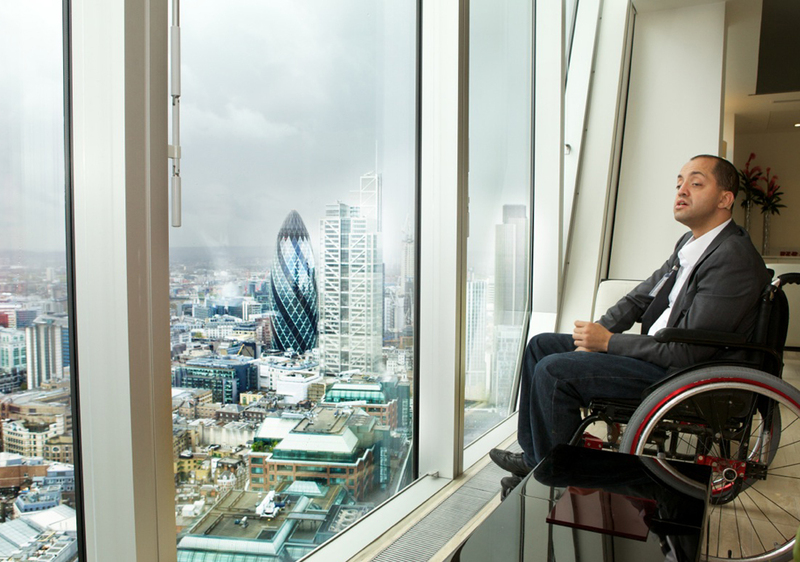 As an international leader in disability services, Shalva partners with government bodies, universities, corporate entities and friends from around the world in advancing the inclusion of individuals with disabilities. In 2018 Shalva was awarded consultative status to the United Nations. Shalva’s multifaceted curricula have been crafted by Shalva’s directorial staff, and are regularly evaluated by the Ministries of Education, Health and Social Welfare/Social Services as well as Shalva’s International Academic Committee. Liat Rahat, MSW is our Director of Education and members of Shalva’s International Academic Committee include Dr. Malka Margalit of Tel-Aviv University, Prof. Amid Ismail of Temple University and Dr. Cory Schulman of the Hebrew University. Shalva’s exemplary standards of management are evaluated and affirmed by the ISO. Shalva is one of only six non-profit organisations to receive Midot’s Seal of Outstanding Effectiveness; the only one to do so in the field of disability. Each of Shalva’s programs are respectively recipients of the Israeli government’s Ministry of Social Affairs and Social Services, Ministry of Education, and Ministry of Healthy’s highly regarded recognition. 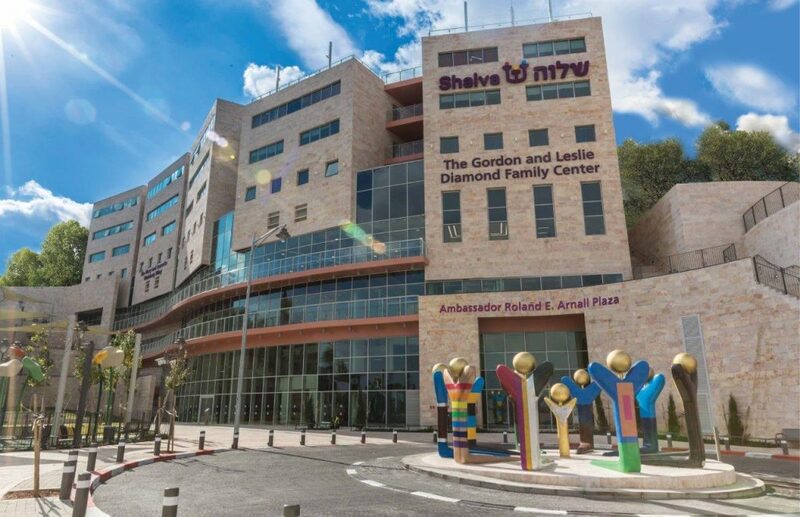 The brand-new Shalva National Center opens new doors for individuals with disabilities and their families offering programs, services and facilities never before available in Israel. It is Israel’s beacon of inclusion and an international leader of innovative programs and research. Adjacent to the new Route 16 Highway, the National Center has been designated by the Jerusalem Municipality to be the welcoming face of Israel’s capital. The 200,000 square-foot campus is brimming over with cutting-edge educational, therapeutic, recreational and vocational facilities. Six acres of inclusion parks are open to the public allowing children of all abilities to play and grow together. The Center is Israel’s beacon of inclusion and an international leader of innovative programs and research.